The hippopotamus (or hippo) is a very large mammal found in Africa. Its name comes from a Greek word meaning "water horse". They spend their days in water to stay cool and then graze on the land in the evenings. Hippos have large barrel shaped bodies and mouths that open extremely wide with large canine tusks. They can run rather quickly given their size but only for short distances. 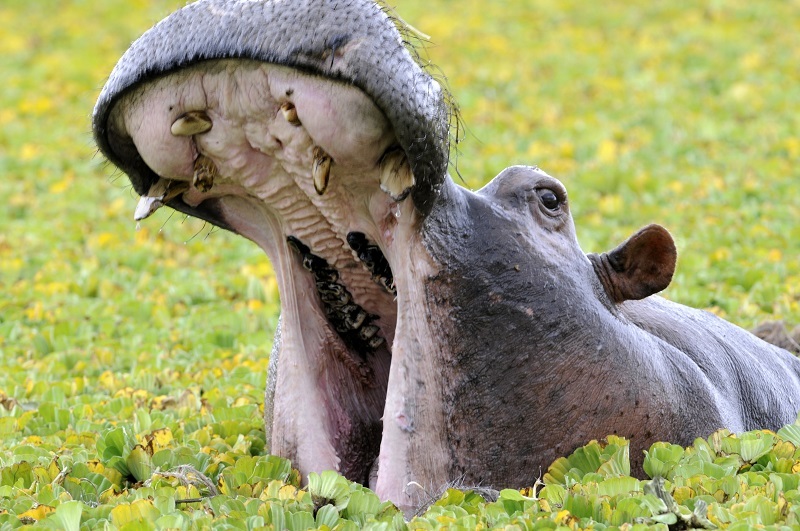 Hippos are known to be very aggressive and have consequently made a list of the most dangerous animals in Africa.